Israel Folau has spoken publicly for the first time since his latest social media scandal, saying he will continue to prioritize his faith over rugby and doesn’t regret his controversial comments regarding homosexuality. 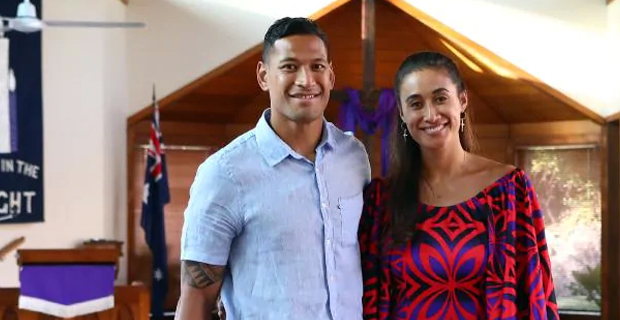 Folau spoke to the Sydney Morning Herald at his Sydney church on Sunday after an intense week in which Rugby Australia and the Waratahs announced their intention to terminate his $4m contract after the offensive comments which have been publicised and debated around the world. The Wallabies superstar didn’t say whether he planned to legally challenge his impending sacking. 30-year-old Folau adds that he is content with a life away from rugby although he admitted he would miss it. Folau has been stood down from all player duties with the Waratahs.